Mold is an annoying and problematic growth that can cause destruction and health hazards if left untreated. Mold will also fill the air with an unpleasant odor that lingers for weeks after you have removed the fungus. Fortunately, you can get rid of the odor naturally by using activated charcoal. 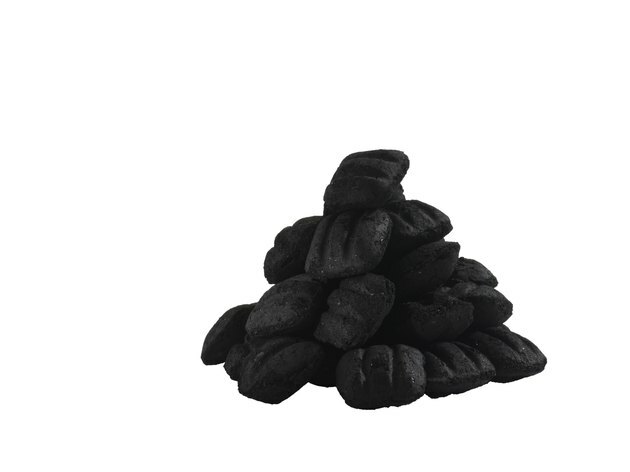 You can use plain charcoal briquettes as a substitute for activated charcoal. Activated charcoal is the powdered form of carbon and has a wide array of uses. Besides a common odor remover in aquarium filters, activated charcoal is also an oral treatment for various poisons. Furthermore, activated charcoal will absorb unpleasant odors in the air without using harmful and potentially dangerous chemicals. Mold is a common fungus that spreads via spores it releases into the air. These spores float through the air both indoors and out, and when they land on a surface that has the ideal growing conditions, they begin to grow and start the process all over again. Mold thrives in any location that features a food source, such as wood, paper and fabric, moisture, humidity and darkness. Over time, the mold will eat away at the food source and, if not treated, will deteriorate the item. Furthermore, mold can cause respiratory problems and aggravate allergy conditions and asthma. To use activated charcoal as an odor remover, first poke holes in the lids of several plastic containers. The containers will keep the charcoal from making a mess in your home. Pour the activated charcoal into the plastic container, and secure the lids with the poked holes onto the containers. Place the containers in various locations where the mold smell is present, and let them sit for several days. If the odors remain in the air, replace the old charcoal with fresh activated charcoal and leave undisturbed for several more days. If you do not remove the mold, it will continue to fill the air with the musty smell and spread to other areas. Before removing the odors, get rid of the mold with a mixture of 1 cup of bleach (chlorine or oxygen bleach will work) and 1 gallon of water. Activated charcoal is available for purchase at pet stores, home improvement centers and department stores. To keep the area free of odors, replace the old charcoal every two weeks.